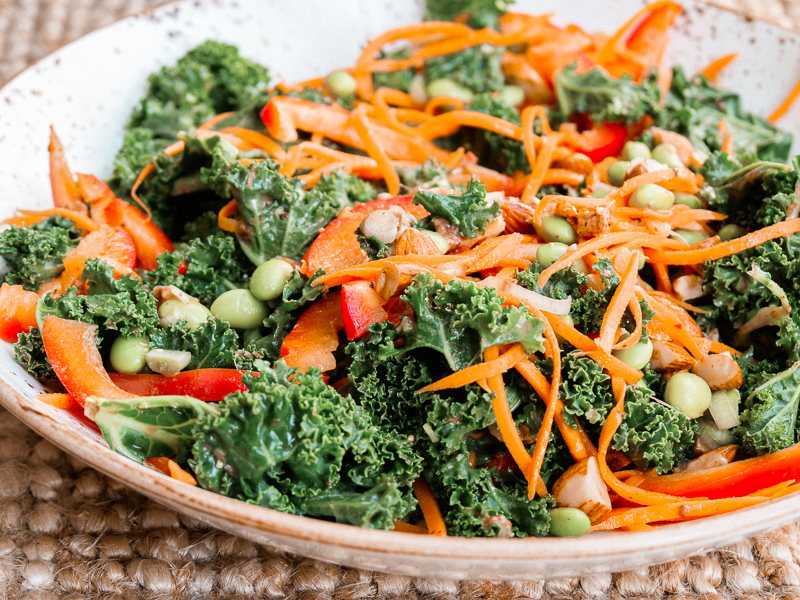 Kale is my favourite leafy green … so why not make the healthiest and yummiest raw kale salad there is! However, first things first … let’s talk food! I posted this recipe video on my Instagram last week and had requests to write it as a full recipe as well as the video, so your wish is my command. 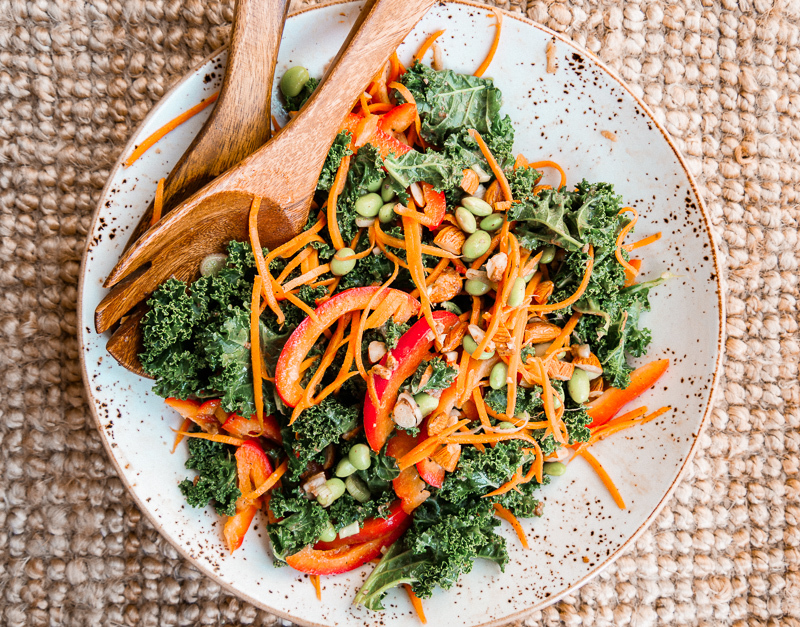 It’s one of the yummiest Kale salads I’ve had, topped with asian-inspired flavours of sweet soy and ‘peanut butter’ (I use nut butters to be healthier) along with fresh chilli, ginger and limes. It’s frickin amazing if you ask me! The crunch of the raw vegetables is delish and really filling and the flavoursome dressing means you feel like you’re eating something rather indulgent – WIN! It’s not easy to eat raw food all the time, but where you can, do try. You get the maximum nutritional value out of the ingredients and to be honest, it saves a whole load of time not having to cook. I swear whenever I finish this kale salad I feel like the healthiest person alive. By Carly Neave, March 7, 2018 Hello and welcome! I'm Carly, originally from London but currently enjoying a little adventure in Dubai. A travel and wellness blogger exploring the world one step at a time. Think fabulous food at undiscovered gems, unique destinations, skin care obsessions and so much more. This is my life, I hope you enjoy the ride!